She's back again! 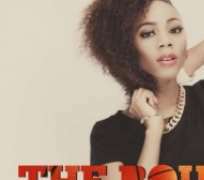 After dropping her comeback freestyle (Baddo) exactly a month ago, rapper Tesh Carter drops her first official single of the year titled 'The Bounce'. Produced by the legendary beat maker Don Jazzy, The Bounce is a chant of pure hip hop originality with a splash of reggae. Hip Hop music is exploding with new music, new flows, new crews and Tesh Carter is fast rising at the epicentre. This is the first single off Tesh Carter's EP set to be released early 2014 (we hear February or March) and will feature production from Jesse Jagz and Don Jazzy.